“What the Dogs Taught Me” the book. Welcome to the UPLAND NATION, home of Wingshooting USA: Birds, dogs, shotguns, and clays. Ya got a problem with that? 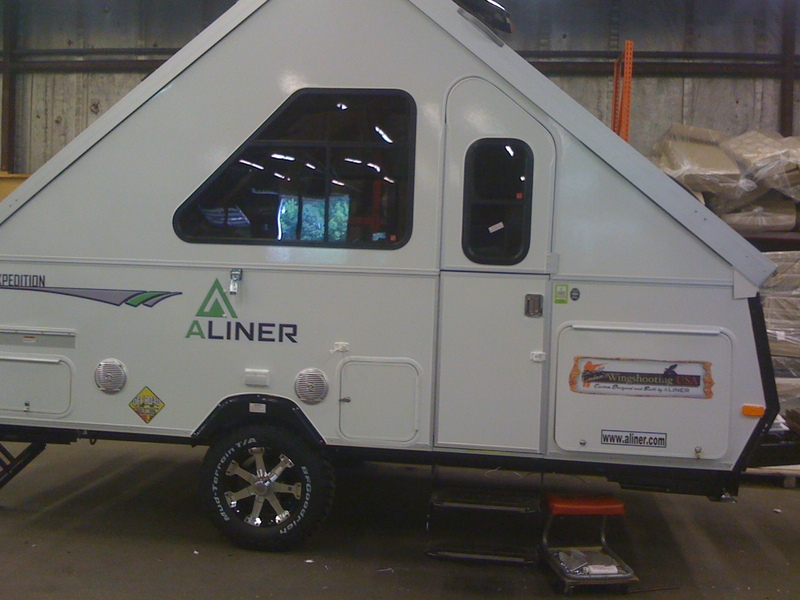 Aliner … just about done! Beefy, rugged, manly. Nope, that’s not the opening line for a beer commercial. 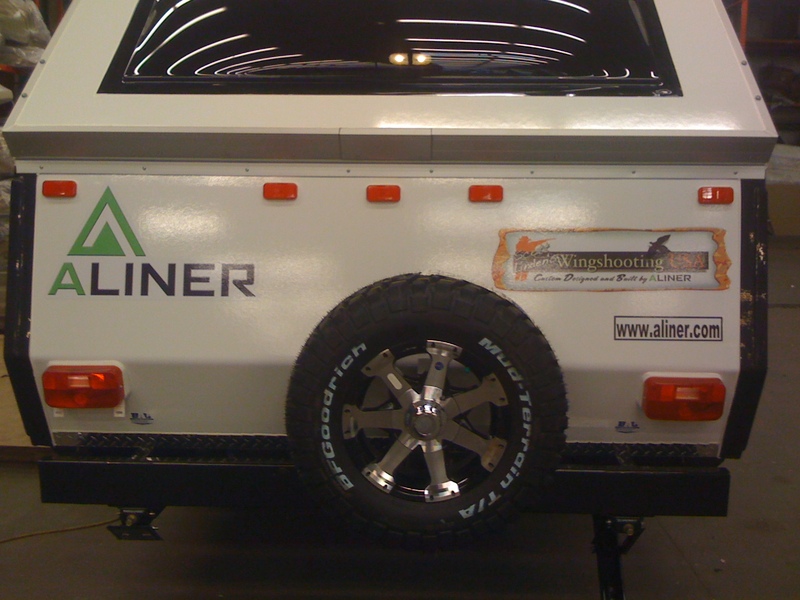 Better still, it’s a description of the tricked-out off-road, custom-built Aliner Expedition travel trailer that leaves the factory Friday for the journey west where it becomes the official travel trailer of Wingshooting USA. Here's what you'll see when I pass you while exceeding the speed limit. Or vice-versa. 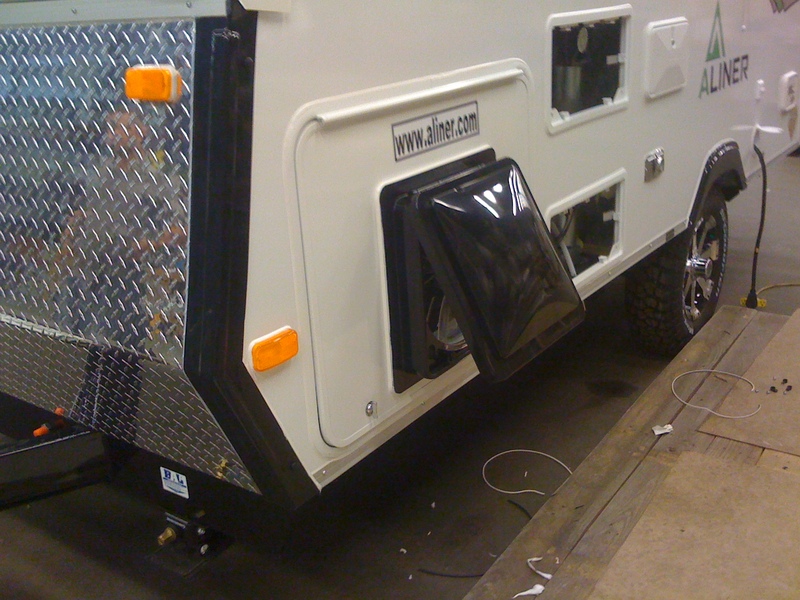 Ventilation fan on exterior dog box entry. Buddy and Manny approve. The grand entryway ... note the logo on the dog box (right). Will my dogs know that's their entrance after a long, muddy day? I would have liked to see a 4 or 5 foot flat deck on the tounge for coolers and such, Oh well maybe next time ,[You may want to suggest it for the next one]. Its a big selling point for most outdoors type these days but it still looks good .ENJOY! Alas, that got cut from the list but maybe on the next one! Not yet, Glen, but that is the plan. Dogs, me, even room for a hunting buddy. Are you sleeping in this thing too? Learn more about how your dog thinks and how he can make you a better hunter with my FREE Upland Nation newsletter! Fun, prizes, downloadable video too! Great gear: my "Signature Series"